They went by many names; resurrectionists, sack’em up men, resurrection men, body snatchers – all referring to the men who secretly disinterred bodies from a graveyard in order to sell them. Body snatching was usually done at night when the chances of getting caught were minimal. 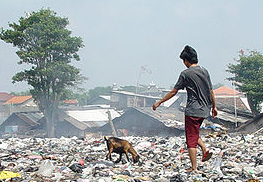 It could take about an hour for a gang to remove a body from its grave. Those who worked as resurrectionists usually did so in order to sell the corpses for dissection in anatomy classes at medical schools. A fresh body could bring the bearer several pounds. 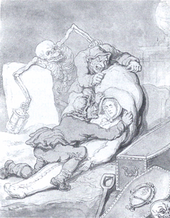 Body snatching was popular in Scotland and England from the early 1600’s to the early 1800’s. 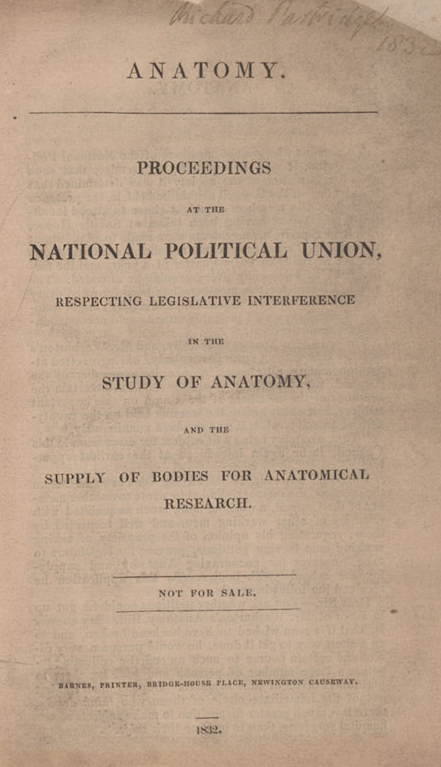 As medical schools began to expand throughout the UK, legally available cadavers were needed for use as teaching tools in the classrooms, and they were in short supply. The only corpses legally available for dissection at that time were those of executed murderers. In order to supply the schools with cadavers, body snatching became a widespread profession. In order to try and stop such attempts, family and friends of the recently deceased had to keep watch over the body until burial, and then guard the grave to keep the body from being removed. 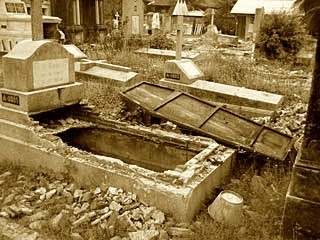 Several contraptions were built in an attempt to thwart the resurrectionists from gaining access to a newly buried body. 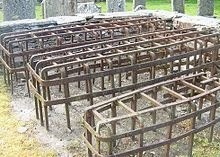 Such devices included mortsafes; heavy iron cages that were padlocked together and placed over the grave with the intention of the cage remaining for 6 weeks – until the body had decomposed. 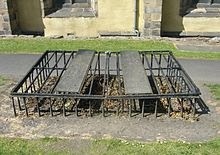 A mortsafe could also be an iron or stone coffin that might or might not be buried. Mort houses or vaults were another option used to protect the bodies of the dead from thieves. Mort houses were usually circular granite buildings where bodies could be safely stored until they began to decompose – at about 6 weeks, although bodies could remain there for up to three month. 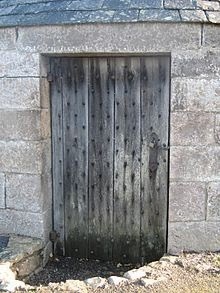 The roofs were made of stone or slate, and the door was created in two sections, the outer made from oak and the inner crafted from iron. Mort houses fell into disuse after the passage of the Anatomy Act of 1832. Coffin collars were another attempt to prevent corpses from being stolen. The collar was placed around the deceased’s neck and bolted to the coffin floor, thereby preventing the body from being dragged out of the end of the coffin. 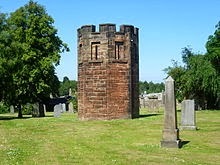 Watch houses were built in several Scottish and English cemeteries. These tall structures provided a good view of the graves so the guard could keep watch over the entire cemetery. Some watch houses had gaps where guns could be placed in order to shoot at anyone bothering a grave. Others also had a bell tower that could be used to raise an alarm for assistance. 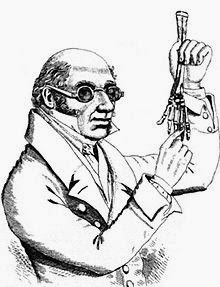 The two most famous body snatchers/anatomy murderers in history were Hare and Burke. 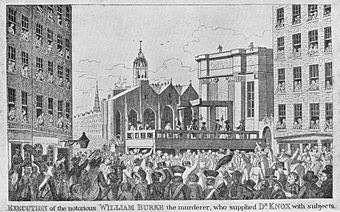 William Hare and William Burke were involved in a series of at least 16 murders, which occurred within a ten-month period in Edinburgh, Scotland in 1828. Most of their victims were paupers, drunks or lodgers who stayed at William Hare’s lodging house. 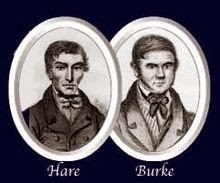 Hare and Burke killed their victims by smothering and compressing their chests. 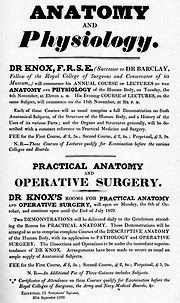 They would then sell their victims bodies to Doctor Robert Knox for dissection during his popular medical lectures. This method of killing people in order to sell their bodies became known as "burking." 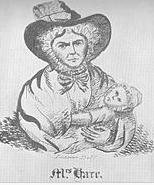 Hare and Burke were arrested, along with the two women who assisted them, Hare’s wife, Margaret Laird, and Burke’s mistress, Helen McDougal, in November 1828. 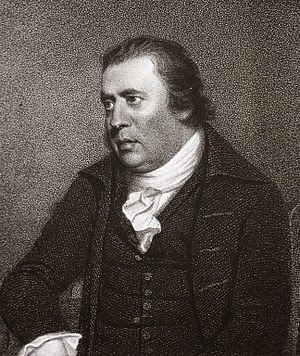 William Hare (with his wife) was offered immunity if he would turn King’s evidence against Burke. It was thought that Burke was the smarter of the two men; therefore he must have been the instigator. 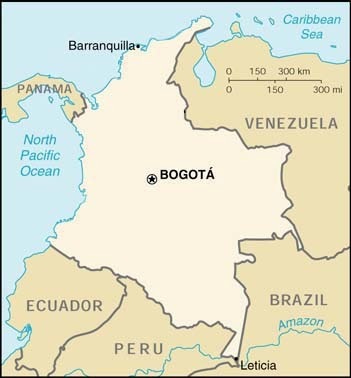 The trial was held on Christmas Eve, 1828 and lasted 24 hours. 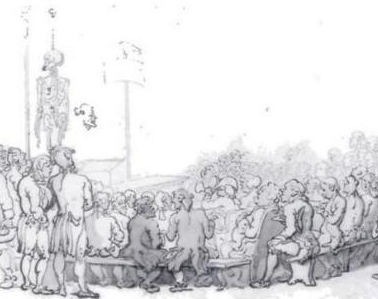 A guilty verdict was pronounced on Christmas Day for William Burke, and the charge of murder against McDougal “not proven.” William Burke was hanged on January 28, 1829 in front of a crowd estimated to be around 25,000. Burke’s body was publically dissected the following day at the Old College in Edinburgh. A death mask was made of his face and exhibited in the Surgeon’s Hall. 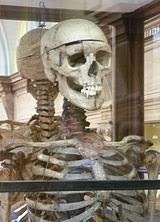 Burke’s skeleton was sent to the University of Edinburgh’s Anatomy Museum, where it is still on display. But Burke and Hare were not the first. In 1751, Jean Waldie and Helen Torrence were convicted of murdering an 8 year-old boy and selling his body to medical students in Edinburgh. Even a Scottish surgeon, William Smellie, was alleged to have murdered, or encouraged the murder of, several pregnant women so that he could use the cadavers for his illustrated textbooks on childbirth. The Anatomy Act of 1832 finally put a stop to most body snatching by legally increasing the supply of cadavers for medical purposes. After its passage, the unclaimed dead from prisons and workhouses were then donated for medical study and dissection before burial, greatly increasing the number of cadavers available. 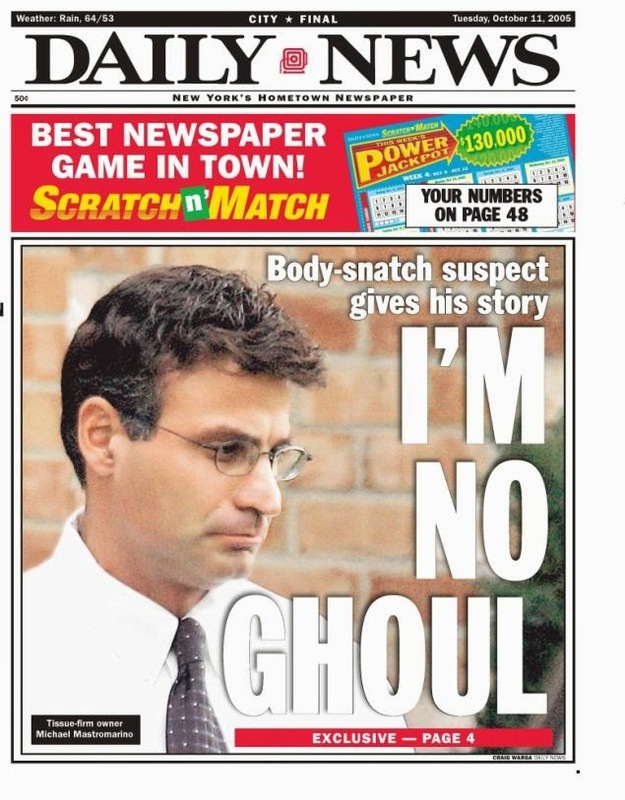 In 2005, Michael Mastromarino, CEO of a company called Biomedical Tissue Services, was arrested for stealing body parts, some infected with HIV and cancer, and selling them for tissue replacement. 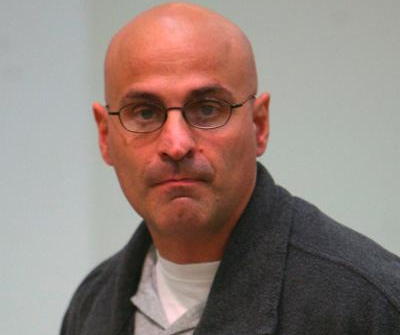 He was charged with running an illegal bone, skin and tissue harvesting scheme in New Jersey and sentenced to prison where he died a fitting death last July - of bone cancer. "Burking" refers to the act of killing someone to sell their corpse for dissection, not the method of murder. There are several cases tried at the Old Bailey for "Burking" each using various methods of dispatching their victims, however, poison seemed the more popular choice.